If you wish to play a sport, please download the Sports Packet HERE. Please register online then complete and submit all medical documentation (that applies to your child) to the Nurses' office for final clearance. 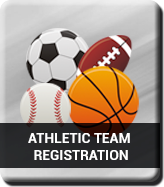 Students registering for Athletics must have a current physical examination on file in the nurse’s office before the student is authorized to participate in practice/tryouts. To ensure clearance for participation, physicals should be completed and turned in to the nurse no later than 3 school days prior to the first day of practice/tryouts.